Healthcare costs have increased dramatically and, despite healthcare reform statutes, there is no visible relief in sight. According to a recent analysis by Hewitt Associates, health insurance premiums have risen by 6% in 2009 and 6.9% in 2010, increasing the pressure on providers, payers, patients, and the government to get healthcare delivery costs under control. The circumstances surrounding spiraling healthcare expenses exist all over the world, not just in the United States where healthcare costs consume well over 17% of the gross domestic product, according to a 2009 estimate by the Centers for Medicaid & Medicare Services. In the face of such figures, there are tools by which healthcare providers can lessen their burden. Some of the most effective management systems/improvement methodologies have roots in manufacturing and today are helping hospitals and health systems get a handle on costs while also improving quality outcomes, length of stay, and staff morale. Lean healthcare (or simply lean) is an evolution of what researchers originally called “lean production” after studying the Toyota Production System. Over the past 25 years, lean has come to be viewed as a general management philosophy as opposed to simply a different way of building cars. While there are reports of hospitals experimenting with lean methods in the late 1990s, the more recent wave began in the early 21st century, with ThedaCare of Wisconsin and Virginia Mason Medical Center of Washington among those leading the way. In today’s challenging financial climate, it is natural that healthcare executives would examine lean as a method for reducing expenses. It is important to note, however, that lean is different from traditional cost cutting. Given that labor expenditures can be 60% to 70% of a hospital’s operating budget, cost cutting has often focused on layoffs and the closure of units or lines of service. In the lean philosophy, reduced cost is the product of quality and process improvement, as it engages all employees to eliminate waste instead of focusing on costs that appear on financial reports. “ Lean is a quality initiative; it isn’t a cost-cutting initiative. But the end result is, if you improve your quality, costs will go down,” says Bill Douglas, chief financial officer at Riverside Medical Center in Kankakee, Ill., as noted in the book Lean Hospitals: Improving Quality, Patient Safety, and Employee Satisfaction (which Graban authored). This concept is being proven across the country, including at Allegheny Medical Center in Pennsylvania, where lean methods were employed to redesign and standardize workflows, leading to a 95% reduction in dangerous central line infections. This improvement in patient care also led to a bottom-line savings of $26,000 per case or $500,000 per year, according to the book The Pittsburgh Way to Efficient Healthcare: Improving Patient Care Using Toyota-Based Methods. Cost reduction comes as the result of identifying and reducing waste in staff activities and patient care. In lean terminology, waste can be defined as any task that does not directly contribute to a patient’s diagnosis or treatment. The process of diagnosis and treatment is what would be considered to have value in lean. If it does not have value, it is waste. Waste is typically classified into eight categories (see Table 1). Traditional improvement models focus on doing work faster, but the lean approach spotlights reducing waste and minimizing delays. Reducing waste is more effective for productivity improvement than simply pressuring people to work faster. Some activities that may be defined as waste, such as patients filling out registration paperwork, are absolutely necessary. But identifying these tasks as waste helps focus improvement efforts on streamlining and rationalizing the use of these forms. Since lean is so focused on staff participation in improvement (also known as kaizen), it is critical that changes do not lead to layoffs. Many healthcare organizations have some variation on a “no layoffs due to lean” policy. These policies are not merely philanthropic; they keep the best long-term interest of the organization at heart. Instead of laying off employees, which would kill participation, hospitals instead redeploy people to new growth areas, provide new skills training, or form internal lean improvement groups. Hospitals will realize productivity improvement through natural attrition and avoiding the backfilling of positions, an approach that can be better for staff morale. By engaging staff and leaders at all levels in the lean methodology, hospitals are seeing reductions in both ongoing operating expenses and capital expenditures. Lean methods have been successfully applied at healthcare institutions across the United States. For example, Denver Health in Colorado has reported $54 million in savings as the result of lean management. According to a report in Health Affairs, the institution has used lean methods in the operating room, billing, imaging, supplies, pharmacy, and primary care, leading to a positive operating margin of $5.1 million in 2009, a rarity for safety-net hospitals. In addition, Denver Health has reported revenue increases of $2.3 million as the result of increasing throughput and being able to provide care for more patients—an important reminder that lean is often used as a growth strategy, not just for cost reduction. 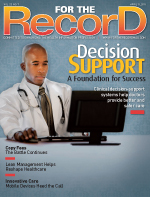 By reducing waste associated with storage and supplies, the New York City Health and Hospitals Corporation reported a $9 million savings from the application of “just-in-time” inventory management practices as part of a $30 million savings in overall cost reduction and revenue enhancement in 2009. Lean approaches to materials management include process improvements that ensure a greater availability of needed supplies while preventing overstocking—a far cry from the scenario of slashing budgets, which may potentially harm patient care. Additionally, a number of organizations are applying lean to direct patient care settings. Recently published in the Annals of Thoracic Surgery, a team at Pennsylvania’s Ed Dardanell Heart and Vascular Center improved patient outcomes while reducing costs by approximately $4,000 per patient case. Complications were reduced by more than one-half (which included reducing the infection rate to zero), mortality was reduced by approximately 75%, the average length of stay was reduced by one day, and patient satisfaction reached nearly 99%. The experience of Ed Dardanell Heart and Vascular Center exemplifies the lean adage that it’s possible to simultaneously improve quality, time, and cost. On the capital expense side, healthcare systems are demonstrating that, when applied to process and space redesign, lean can help minimize, postpone, or cancel the need for multimillion-dollar construction projects. USA Today reported that Delnor Hospital in Illinois was able to defer a projected $80 million expansion thanks to lean methods. The hospital was also able to engage staff in improving the discharge process, reducing the need for additional beds. Seattle Children’s Hospital credits lean methodology for eliminating $180 million in capital spending. Chief Operating Officer Pat Hagan told The New York Times the hospital was able to reduce costs by 3.7%, for a total operating savings of $23 million. Hospitals using lean follow the adage of “ creativity before capital,” proving that healthcare organizations do not have to reflexively leap to expansion to solve patient flow challenges. Lean management has relevance on a larger scale in the healthcare industry. The philosophy is inherently about quality and flow, but it has application beyond redesigning laboratory staff circulation or automating workflow. When scaled to the larger issues associated with the health system and government payers, lean methods may have huge payoffs. According to an article in USA Today, ThedaCare CEO Dean Gruner, MD, estimates the United States could save $400 billion in Medicare costs if all hospitals achieved results similar to those realized by his organization. He also projects an additional savings of $1.3 billion on the non-Medicare side, lending hope for lean as part of the solution for increasing the nation’s quality of care while reducing costs. — Mark Graban is author of Lean Hospitals: Improving Quality, Patient Safety, and Employee Satisfaction and president of Constancy, Inc.
— Rob Harding is president and CEO of FormFast, a provider of electronic workflow solutions. Medication errors; the wrong meal was delivered to the wrong patient’s room. Preprinted forms that quickly become obsolete when modified information is required. Because of facility design, cancer treatment patients walk hundreds of yards between registration, clinic, and treatment. Patients waiting for long periods to be seen for services; staff waiting for purchasing approvals stalled by poorly designed workflows. The cost of space needed to house an unnecessary amount of supplies, equipment, forms, and expired medications. Nurses and staff needing to walk 5 to 6 miles per shift. Routing forms to irrelevant workflow participants; forms that require redundant manual data entry. Staff manually keying information from forms into computers; time spent tracking down paperwork in process.